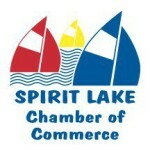 The Spirit Lake Building Department provides zoning enforcement and limited inspections pursuant to the City Code. The goal is to ensure compliance with the Zoning Ordinance, and related codes. The City has adopted the State Building Code and plan submissions are reviewed in accordance with this code. Nuisance abatement and property maintenance code services are provided in addition to many other general services for the City. Spirit Lake has enacted low impact development ordinances that require on-site storm water management practices for improvements to existing lots and new residential, commercial, and industrial developments. These apply to all new subdivisions and for all other building projects when the site has over 70% impervious surface. Contact the Building Department for more information.